If one were to pinpoint the single theme that most dominates the first 200 pages of Volume 5, it would have to be the contentious issue of artistic freedom in the liberating but terrifying age of science. The act of music-making in the aftermath of WWII was indeed laden with heavy questions: What does it mean to be a composer in an era of imminent annihilation, when personal expression (not to mention existence) was just as ephemeral as the cherry blossoms over Nagasaki? And what use does beauty serve in such a world anyway? Science had won the war, and many composers—reflecting the general cultural attitudes of the post-war period—were struck with an acute case of science envy. As RT’s passage above makes clear, beauty was a difficult objective for many to pursue in the zero-hour, not least because (as Adorno says) writing poetry after Auschwitz was barbaric. 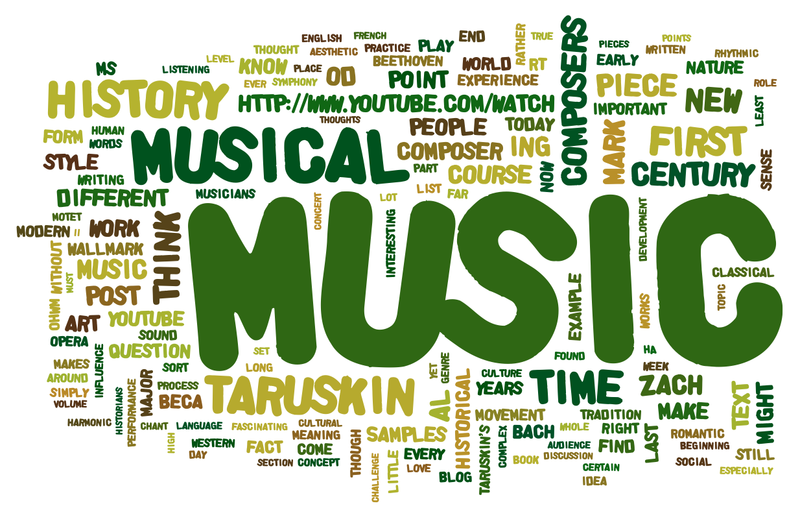 The empirical truths expressed through the musical vocabulary of total serialism (Boulez, Babbitt, et al. ), a system of non pareil objective rigor, aimed to transcend the merely human, to strike at a more stable, lasting, and durable reality than fleeting beauty could afford. Paradoxes abound. In some ways, total serialists espoused a rejection of the Self, that stable, subjective (and immanently vulnerable) wellspring of Romantic creativity. Boulez and Babbitt enacted self-loss through mathematics and rationality; rather than an arbitrary, personal mode of expression, one rooted in the biases of taste, they strove for purity and truth through the perceived universalism of numbers. However, as RT rightly points out, “Ph.D. music” in other ways represents the apex of authorial power and control in the Western musical tradition: rather than holding the self under erasure, it affirms the total freedom of the composer/music-scientist, freedom to create irrespective of whether listeners will like it or performers will play it. This notion of freedom is a “political tendency” just like any other. Ironically, the science envy of post-war music—and the ideology of “purity” and “truth” it embraced—ended up being put to the service of Cold War politics.